In combating the rapid rise of teen vaping in Utah, it was the youngsters who advised state politicians on what would prove to be most effective. Go for the wallet, the kids cried. 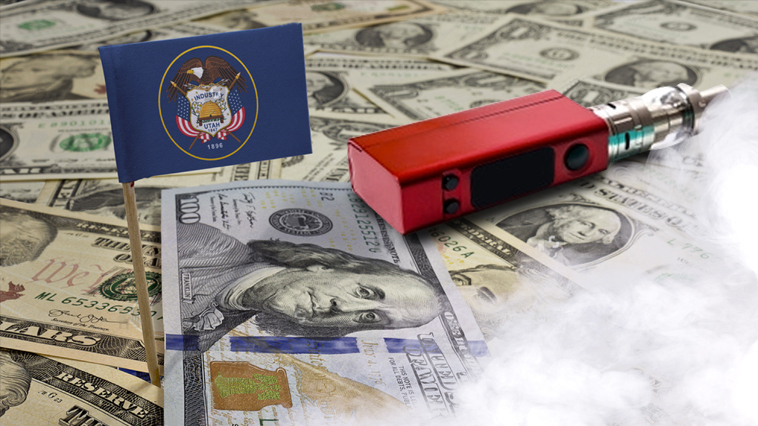 Among a series of anti-vaping bills introduced by the state’s legislature during the current session, House Bill 252 aims to increase the sales tax on e-cigarettes, according to ksl.com. The reason fellow students believe HB252 could dissuade their peers from picking up a pod is obvious, it would put a dent in a teen’s pocketbook. Cade Hyde, the group president of the Students Against Electronic Vaping, said if the vape tax was similar to the tobacco tax, teen interest would change. Hyde was part of the contingent that traveled to Salt Lake City on Feb. 27 to stage a press event in support of HB252, which was expected to be heard in committee the first week of March. The student group said more than 45,000 individuals aged 13 to 17 years old are currently vaping and while speaking to an audience of lawmakers, the association urged lawmakers to act on the legislation, ksl.com reported. Hyde predicted about half of the minors would quit purchasing vaping products because of the price increase. He also lobbied for the additional tax funds to be used for youth treatment programs. State Rep. Paul Ray, who sponsored the bill, said if the proposed tax increase was already implemented, the tax revenue would equal $21 million, a projected increase from $9.4 million. “That’s how much vaping with the youth has increased,” Ray said. A Republican, Ray said he was optimistic HB252 would survive committee and make it to the floor of the House and Senate.